it is hard to decide what the best manner is. Ideally, the solution that offers the greatest intrinsic motivation for your learners would be the ideal provision of your learning management system. But, which one is that? Instead of getting into the argument of which methodology is best, I will merely select a certain aspect and roll with the punches. Regardless of how you slice it, a very important aspect of the gamified mix is badging. 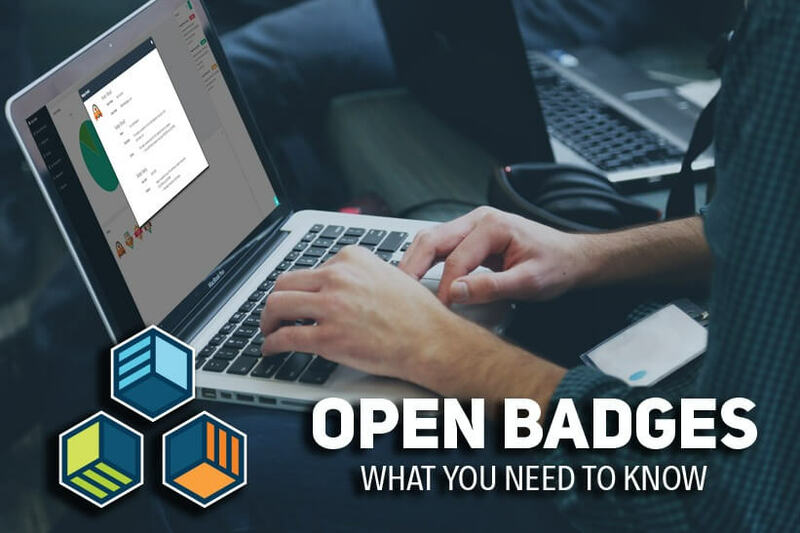 Though there are many beliefs as to the best way to establish a badging program, it is hard to argue the fundamental benefits of OpenBadges.org and the flexibility that an open standards system provides. Badging when it started was a relatively inexact science, sort of like being granted a gold star in class for answering a question, but sometimes not getting a golden star for the same exact behavior. Today, users are rewarded based upon adhering to a particular set of pre-determined guidelines. When a user signs into a system a certain amount of times, when a user completes an assessment for the second time, or even when a user successfully signs into a particular system for the first time. The badging rewards for doing “stuff” can be anywhere we as learning experience providers see fit. Open badges are very good at doing these types of things, and it is very easy to use and digest. When a user completes one of these pre-defined tasks, the badge is issued, and the exact details of the award are encapsulated within the badge itself, then it is entirely capable of being displayed anywhere the user wants. If a user achieves a relatively hard badge to obtain, or the badge itself is directly linked to a certain type of accreditation; the badge itself can be used in a manner to display capabilities to the outside world (effectively extending the reach of your training program). Get your badges from courses you build, pre-packaged courses purchased for your learning platform, or online courses and e-learnings found via third party programs, all with pre-existing collaborative and universally accepted badging capabilities. Based on the capabilities of Open Badges themselves and the type of data they store, these badges can not only be verified by outside agencies, but they can also be trusted in terms of pathways to success parameters for achieving these awards. Because Openbadges.org is built on an open standard, it can be used by any entity. You can take a quiz put on by your favorite TV show on how well you know the main characters, as well as an examination of the viscosity of certain brands of jet fuel, and they can be hosted on the same general forum! Open badges are cool, and there are plenty of predesigned badges to choose from, or, you can design your own. Open badges work as you tell them to. As such, it is vital that you pre-define success criteria strategically to get the most out of your system. Do not be afraid to search for cool manners in which open badges have been used in the past, as well as scroll up and down your friends and colleagues LinkedIn walls, as there is a strong chance that some of them are already proudly displaying Open Badges curated content. There are many devoted websites that provide pre-existing open badges that can immediately be used by your program, just a quick google search away. As I mentioned earlier, a lot of users are familiar with work completed in Open Badges. We see our friends on social media posting new badges every day, some as simple as scrolling through the end of a blog, to those a little bit more robust, such as adding a quality comment on a peculiar situation. When these occur, it is very important that we wear our earned badges with pride. Display them everywhere to show your capabilities and success. Stick them on your Facebook Wall, your LinkedIn Profile, or even reference them in tweets. Open Badges are designed to be dynamic and shared. The more you share them, the further the capabilities of Open Badges reaches. In short, Open Badges is a versatile badging platform that allows a universal capability to assign badges, across a multitude of platforms, and it is available right now, at your immediate disposal. Open Badges is the most recent addition to GyrusAim r16.1 and offers an amazing opportunity for the growth of gamification within Learning Management Systems themselves. For more information on Open Badges and to find out how they can improve your programs capabilities, stay tuned, right here, to the Gyrus Blog. Here at Gyrus, we tackle all the fun topics and further the discussion of key components of the learning industry. Be sure not to miss out on any of our upcoming posts by subscribing to our Blog.